Just like when your kids participate in any other sport, there are many health benefits. Football is one of the most physically demanding sports to play, and it’s a great way to help your children improve strength, accuracy, hand-eye coordination and more. Football teams, even in youth sports, generally have a large number of players on the team. Kids will learn to develop the skills to make and keep friends, and work together with those friends. Since there are 11 players on the field, it’s extremely important for each player to work with the rest of the team to win a game or even have a successful play. You’ve heard the phrase, “practice makes perfect.” It’s true that you have to practice, practice, practice in order to improve at anything, but especially at a sport. Often times, kids don’t realize the commitment they’ve made, and they will dread suiting up in their uniform on some of those hot, summer days. When you teach your kids that they have to practice and they have to keep up with their commitments and responsibilities, they’ll develop a strong work ethic that will last them long into the future. Of course, another one of the advantages of playing football is the physical and mental toughness that is required to succeed. 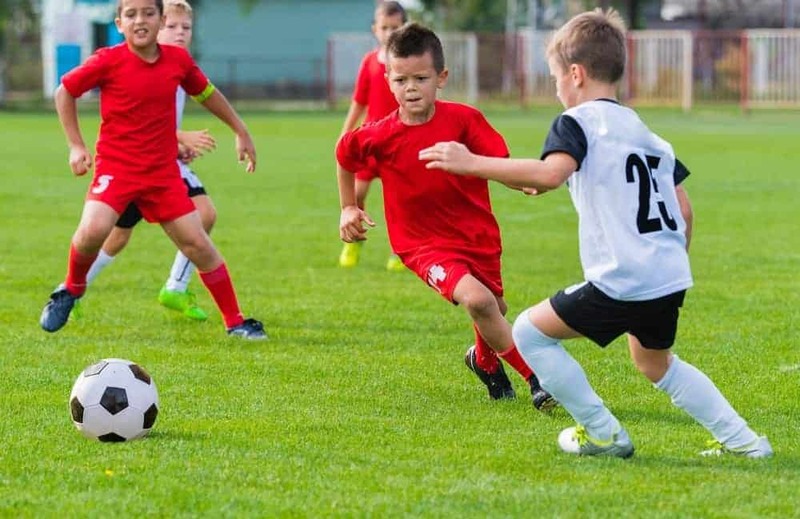 When kids first start playing a sport, they don’t realize the mental and physical capacity it takes to dedicate yourself to the sport while still getting their schoolwork and chores done, too. A sport like football will stretch and shape your child to give their best effort and work through any obstacles that may be in their way. Are you considering hosting a special event or party for your child’s sports team? Take a look at Rocky Top Sports World’s special event packages that are a perfect way to get your child’s team together for more team-building and fun. This entry was posted in Trends in Youth Sports on May 25, 2016 by Emily Wolff.